“You Are Beautiful” is another Matthew Hoffman art piece. 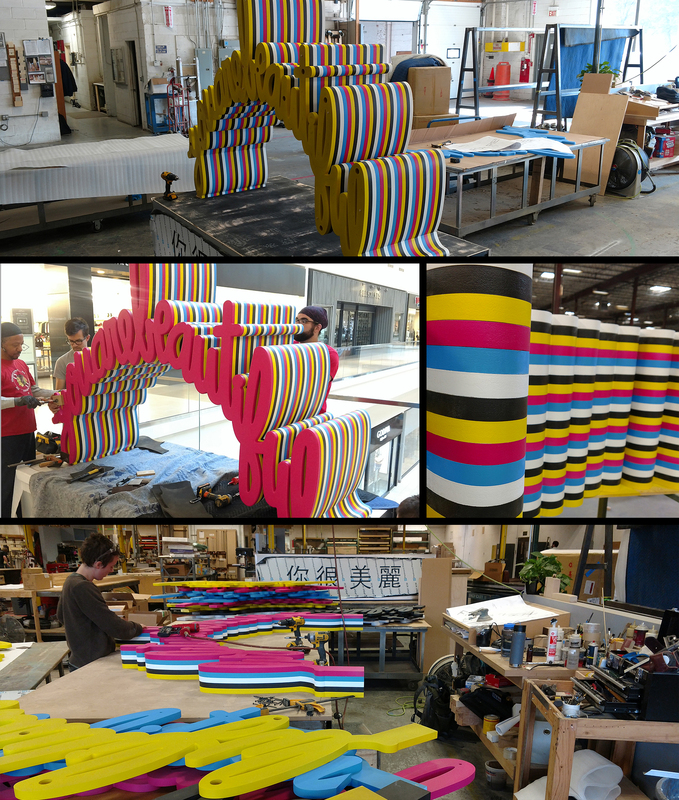 We constructed it out of 24 layers of ½ inch MDF, each one painted a different color. We also fabricated the base for this sculpture with an internal structure that could support the 800 pound piece on just two points. 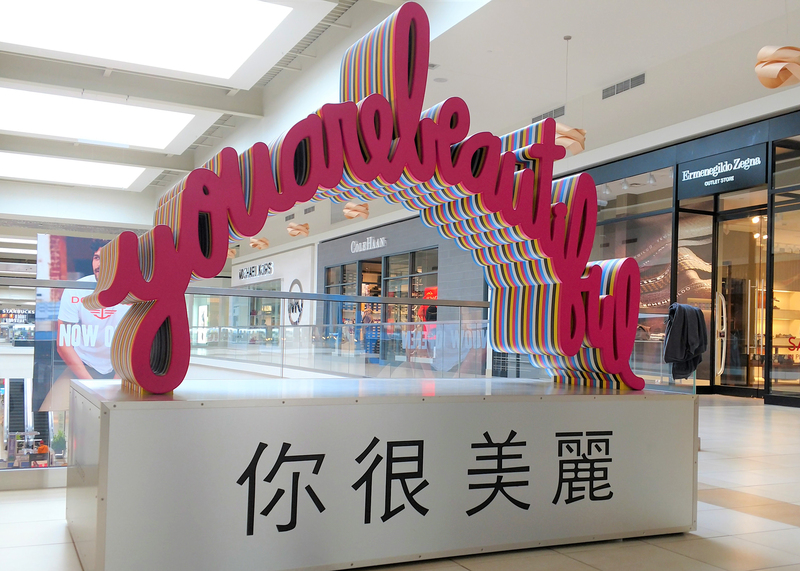 We installed this commissioned art piece in the Fashion Outlet of Chicago in Rosemont.